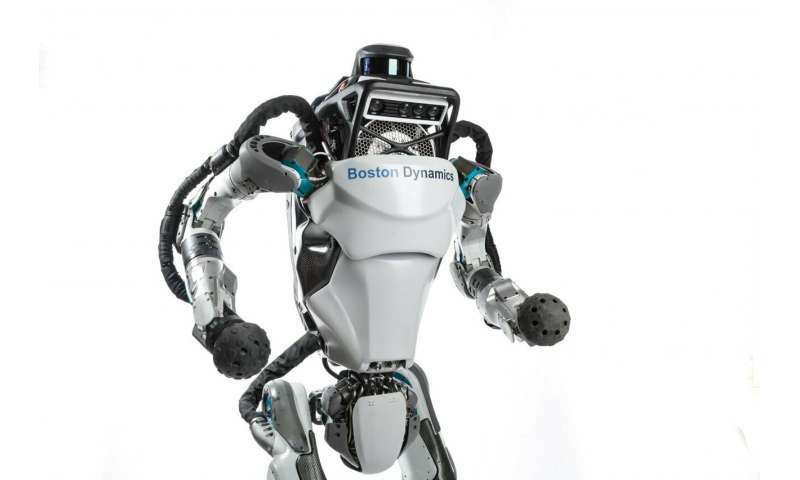 Starting off the list is a robot called Atlas, from Boston Dynamics. The company has been working on it for years, but this year, the robot took a leap forward with the implementation of new systems that allow it to move and overcome obstacles better. This year, it even executed a backflip. Next on the list is a surgical robot system called da Vinci—made by Intuitive Surgical. The system represents a step forward in robotic surgery with improvements in wrist and elbow control. It allows for manipulating three fully-articulated instruments. The group also was impressed by a soft robot design that can navigate simply by growing. The idea for such a robot was proposed by Eliot Hawkes to address several challenges that still stand in the way of robots becoming more mainstream. The design was based on the growth of living things, such as vines, neurons or even fungus. The group also noted that 3-D printed liquid elastics for soft robotics was making inroads. Their shape-shifting abilities are expected to allow for new fabrication schemes to give robots new kinds of abilities. Next on the list are soft actuators—instead of using hard, stiff material to serve as a stand-in for muscles, researchers have been coming up with new designs. One involved variations on Peano-HASEL, a transparent, self-healing, self-sensing material that is reasonably easy to control. The team also highlighted nanoscale robots that self-assemble, which were created using strands of DNA. The robots are based on origami concepts, and were able to transport nanoparticles. Delfly Nimble also stood out—a flying robot from the Micro Air Vehicle Laboratory at Delft University of Technology. It flies around like a fruit fly and weighs just 28 grams. The group also noted that wearable robots in the form of soft exosuits made gains this past year. These are actually becoming commonplace—for instance, they are used by workers at a Tokyo airport to reduce muscle strain while loading cargo. They also noted that robotic arms took a bit of leap forward this past year, as a Danish company called Universal Robotics launched a series of such robots that learn via demonstration rather than programming. And finally, there was AIBO, Sony's cute little robot dog. First unleashed on the Japanese public almost 20 years ago, AIBO was discontinued after several iterations. But now, AIBO has returned, and besides being cuter, it is also more responsive to its human companion.